Landmark victory for Paul Di Resta. 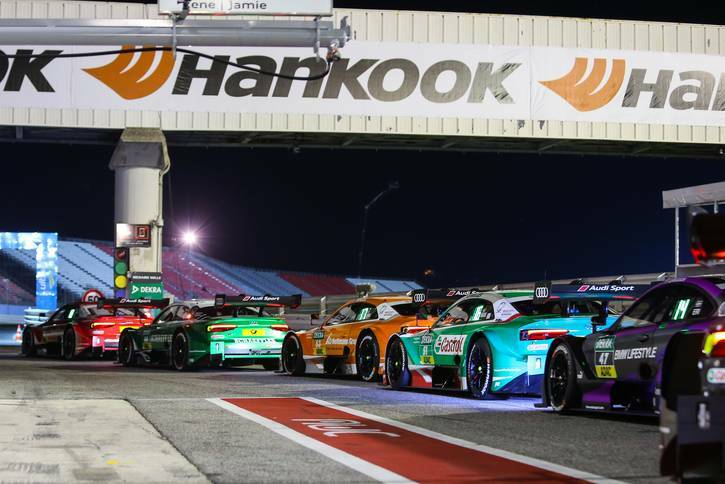 The Mercedes-Benz driver was the stand-out performer in the dark at the Misano World Circuit on Saturday, winning the first night race in the 24-year history of the DTM. 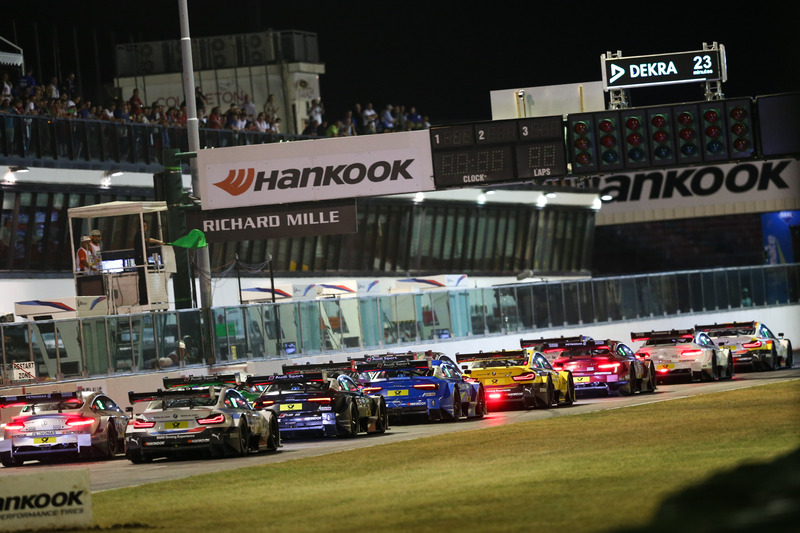 The win puts the Scot just one point behind fellow Mercedes-Benz man and championship leader Gary Paffett, who was forced to retire following a collision on lap eight. Spectators at the 4.226-kilometre circuit witnessed spectacular motorsport with many exciting battles. Both the wet tyre and the slick supplied by exclusive DTM partner Hankook performed as strongly as ever, ensuring that the night-time premiere on the damp asphalt in Misano, Italy, was a total success. 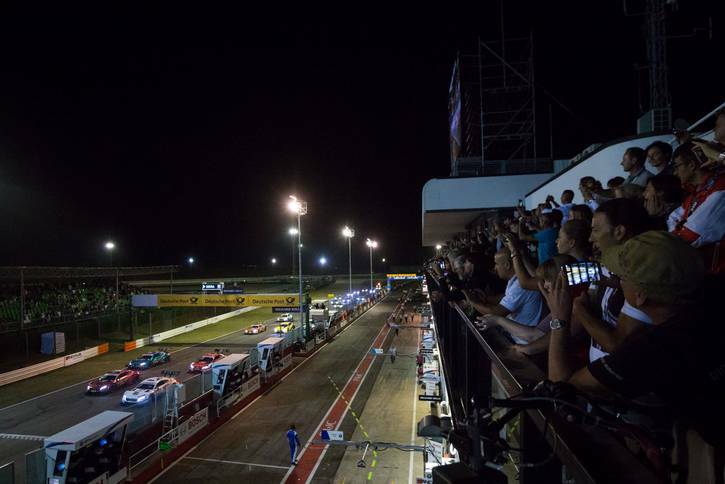 Misano/Italy, 26th August 2018 – Following rainfall during qualifying, the track was still damp in places at 22:30 on Saturday, as the cars in arguably the most popular international touring car series took their place for the first night race in the history of the series. 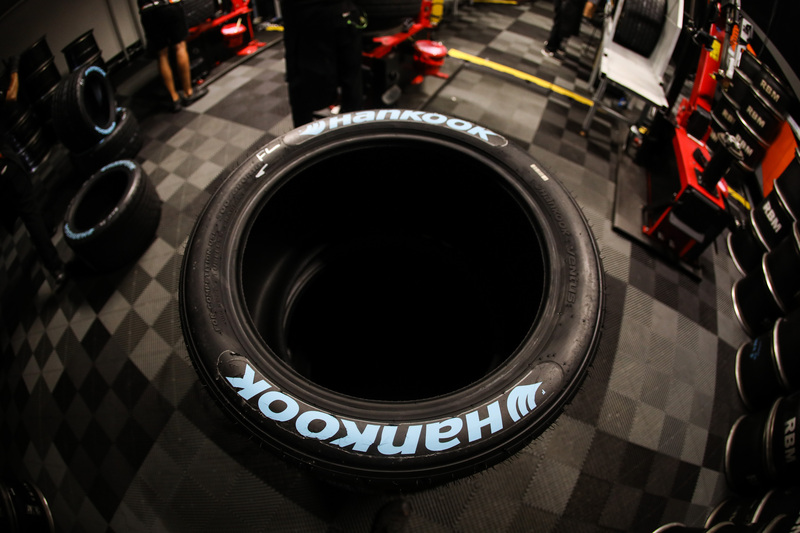 As such, the majority of the 18 DTM drivers, together with guest starter Alessandro Zanardi (BMW), opted for the wet tyres provided by premium tyre maker Hankook. 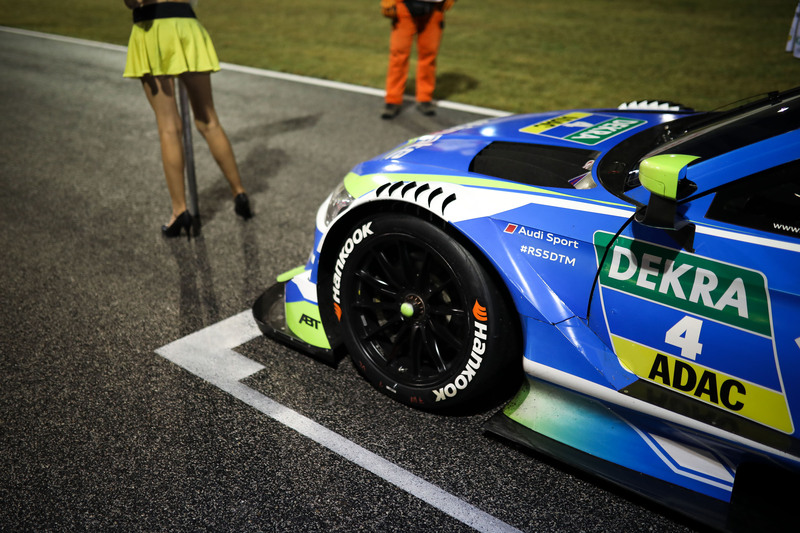 However, all the drivers subsequently used the mandatory pit stop to switch to the slick supplied by the exclusive DTM tyre partner. Pole-sitter Paul Di Resta (Mercedes-Benz) held onto his lead at the start and continued to control the field after his tyre change on lap six. The Scot was overtaken by Philipp Eng (BMW) at the restart following a safety car phase, but was soon able to regain his position at the head of the field. 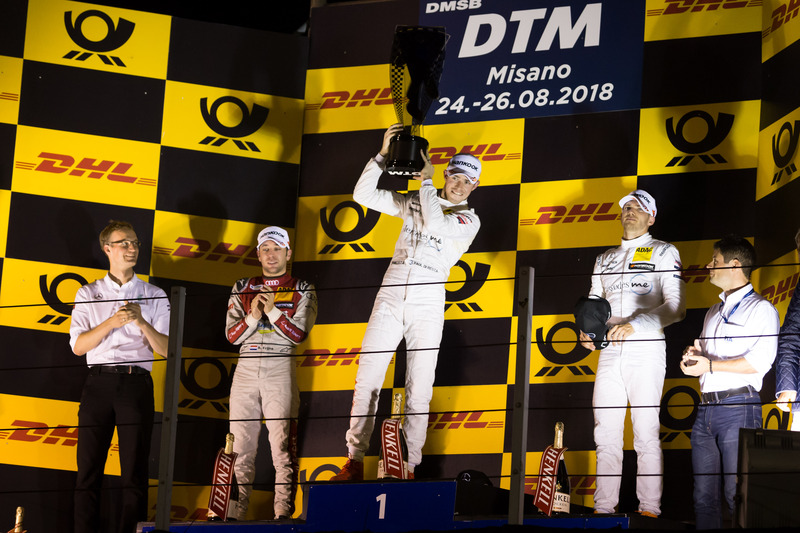 After 32 laps of racing, Di Resta was first across the finish line to claim his eleventh victory in the DTM. Audi driver Robin Frijns, who had started the race from twelfth on the grid, produced a spectacular overtaking manoeuvre shortly before the finish to take second place and the first podium result of his DTM career. Edoardo Mortara (Mercedes-Benz), second in qualifying, came home third. 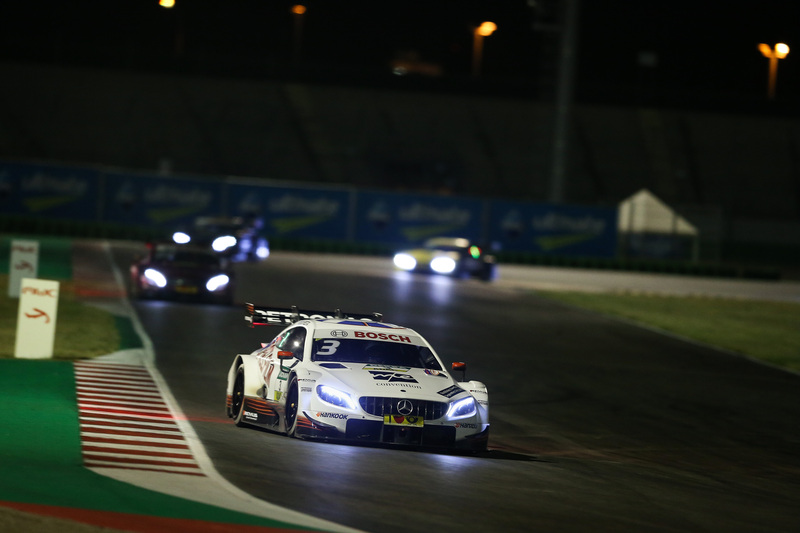 The best-placed BMW driver was Timo Glock in seventh, while guest starter Alessandro Zanardi finished race 13 of the season in 13th place.